I've always wanted to photograph the full moon with an iconic San Francisco landmark in the image. The Super Moon gave us a nice shot at it last Monday. 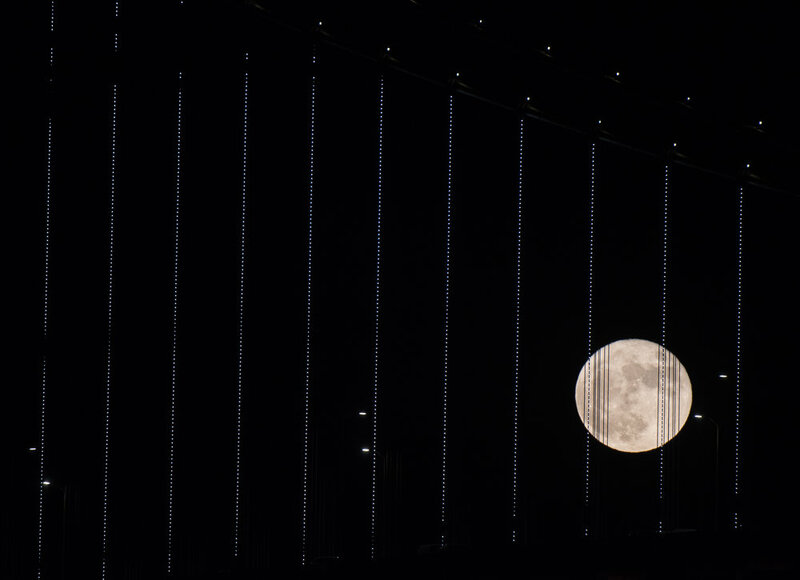 Using a 200-400 and a Nikon D810, I was able to frame the moon though the cables of the Bay Bridge. The cables being lit up really gave the moon a sense of perspective as well as giving it a real graphical element.